Our code of ethics is to promote a courteous, professional image. We put our customers first as well as encourage high standards of workmanship and consistency. We are safety conscious,practice all OSHA standards, and are certified. We are licensed to operate Boom Lift equipment, as well as comply with city permits and safety plans for the protection of pedestrians and motorists below. Since 1995 New Haven County Window Cleaners LLC has earned a reputation as a service company that combines quality performance with affordable low rates to meet your window cleaning needs. We provide professional and dependable service that is efficient and flexible. 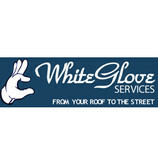 White Glove Services listens to you. There's no hard selling. Let us be your personal butler for the things you want done right, but don’t have the time to do yourself. We can also customize our cleaning and maintenance services to your needs. No job is too big or too small. We are fully insured company with a courteous and discreet staff. We welcome the opportunity to earn your trust and deliver you the best service on the shoreline. When you choose White Glove Services, you've chosen a company that has been trusted for over 25 years in your community, and delivers the results you have been looking for. Residential window cleaning can be very dangerous if one is not properly trained and equipped. We take particular care and detail in our work. To maintain a lovely presence at home. 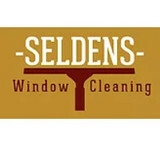 To contact us on a free service quote, call (203)-482-0700 Window cleaning inside and out. Razor blade for full impurity removal. Window screens cleaned and reinstalled. Window sills and frames cleaned of all debris. And fully insured by: State Farm. Triple C is a fully insured service with a standard of quality that stretches back over 40 years. We are specialists in our field, serving both the north and south fork with the benefits of our expertise in Window Cleaning and Floor Waxing which is second-to-none. If you have windows that need cleaning, or floors that need that extra sparkle, please give us a call and discover how we can meet YOUR needs! Owned and Operated by Glen Cerrato since 1973. See the beauty of nature through your windows thanks to Triple "C" Window Cleaning. Hire a fully-insured company for your personal protection! 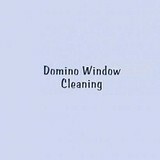 Since 1973, Triple "C" Window Cleaning has proudly delivered superior cleaning for your windows and flooring. Always expect meticulous work and a careful attention to detail from professionals with over 40 years of experience! Trust a locally-owned business that was established in Sag Harbor in 1973. Triple "C" Services is the oldest local owned residential cleaning company in the area! You can always expect quality service from our professionals. Panefree specializes in both Residential and Commercial cleaning services for Suffolk and Nassau County, Long Island. My name is Bryan Butler, I was born and raised in Southampton. My family is well-known in our community. I've been in business 28 years. I have a reputation for being hard working, honest, reliable, and a top-flight window cleaner. I don't sit in an office and send people to your house. I am at your house washing windows and running the job. I do homes, estates, stores, and commercial jobs weekly, monthly, annually, depending on your needs. I'm insured, give FREE estimates, and in the off-season, we'll clean gutters, drive you in your car to airports, cities, etc., and look after your house.